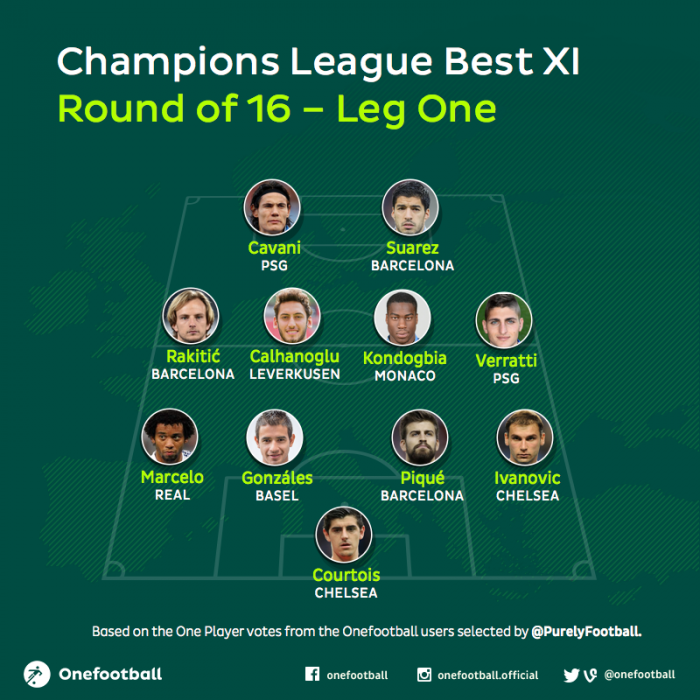 Our friends Purely Football helped put together the Best XI players from the first leg of the UEFA Champions League Round of 16. Our friends Purely Football helped put together the Best XI players from the first leg of the UEFA Champions League Round of 16. Based on our in-app voting system we collected the top 22 players voted for by you in app and from this Purely Football picked their chosen few. Do you agree? If not, let us know who you would have picked in the comments below.